Swedish distribution and artist services platform Amuse has announced that it will soon offer independent acts royalty advance payments, based on machine learning of their online streaming performance. Amuse’s data-driven service, Fast Forward, will offer indie acts up to six months of estimated future earnings, calculated across what the company claims is more than 27 billion online data points. 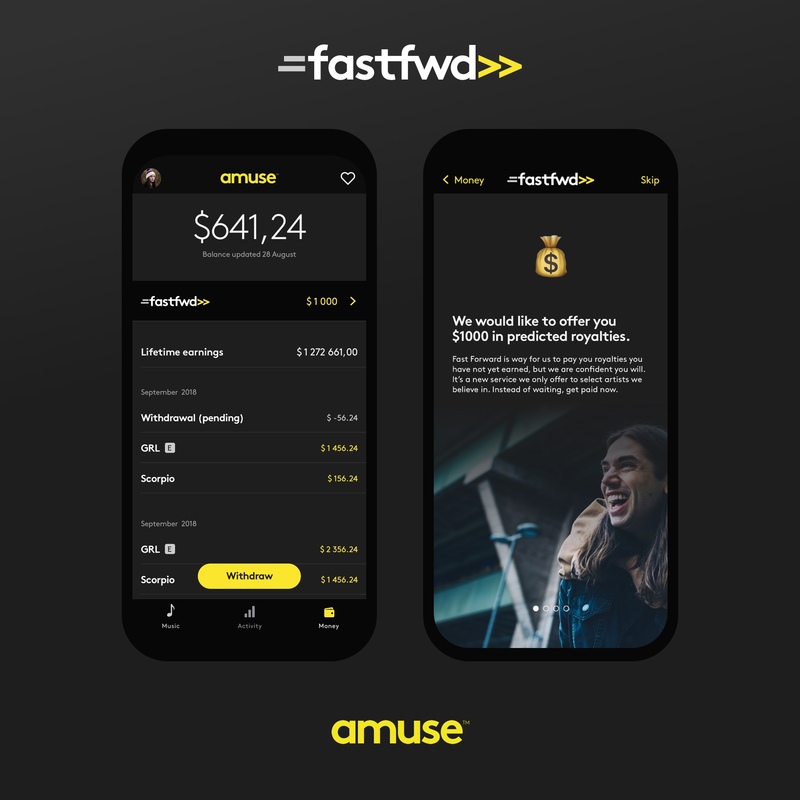 Fast Forward will be integrated into the Amuse app, from which eligible artists will be able to view and withdraw their future royalties from their mobile device. Amuse, a rival to the likes of AWAL, Ditto and CD Baby, offers artists free distribution of their music while retaining ownership of their copyrights. Amuse also runs an in-house ‘record label’; if the service spots an artist it wishes to sign amongst its distribution clients, Amuse offers a licensing deal whereby the company splits all profit 50/50 with the artist. This ‘record deal’ includes strategic planning, marketing, playlist pitching, financing, branding and PR. Although the act is expected to license their material to Amuse for a set period of time, they regain full control of their copyrights after this time has passed. Diego Farias, co-founder and CEO, Amuse, said: “With Fast Forward, Amuse is creating a completely new way for independent artists to fund their music. We’ve built an artist-friendly solution that combines our human knowledge and expertise with billions of data points, resulting in a truly innovative service for the modern day artist. In the past year, Stockholm-based Amuse has expanded into the US and Latin America following a $15.5m Series A funding from influential investors within the music and technology industries. The company now has offices in Los Angeles and Bogotá and teams in London and Miami, while its global distribution platform caters to tens of thousands of users. The firm’s label teams work with a selection of licensed acts across Scandinavia, the US, UK and Europe – such as Moxie Raia, Johnny Gates, Saving Forever, VCATION and an array of the Nordic’s larger hip hop acts. Seven-time Grammy Award winner will.i.am joined Amuse’s team in July 2017. The company’s investors include Lakestar and Raine Ventures, while its board of directors includes Edgar Berger, former Chairman and CEO of Sony Music International, and Jörg Mohaupt, former Warner Music Group board member.